The one simple all-you-can-eat Sprint Unlimited Freedom plan is now phased out and Sprint is replacing it with two new unlimited plans that are more complicated and a bit more expensive. The Unlimited Basic plan has the same price as the Unlimited Freedom one before it, but cuts hotspot allowance to 500MB and you can only stream standard definition video, and not HD quality. With this plan, you also get free Hulu and 5 gigs of roaming data for Canada and Mexico. If you want to add additional lines to it, the second line is $40/month, while all further line additions costs $20/month. Then you have Unlimited Plus at $70/month, which does include HD video streaming, a whopping 15 gigs of mobile hotspot access, as well as free access to Hulu, music streaming service Tidal, and 10 gigs of roaming data for Canada and Mexico. Adding a second line costs $50, subsequent lines go for $30/month. These two new plans will become your only options for unlimited data starting this Friday, July 13th. Sprint argues that this change is for the better since people have different requirements for their plans: "We know people want more and more out of their wireless plans," Sprint Chief Commercial Officer Dow Draper said. "They have different needs." OVERLAND PARK, Kan., July 12, 2018 /PRNewswire/ -- Sprint (NYSE: S), the industry's pioneer of unlimited plans, is making its unlimited plans even better. Sprint has listened to customers and it's clear: People want more from their wireless carrier. In addition to unlimited data, talk and text at a great price, wireless users are looking for additional features like HD streaming and entertainment services, all on a reliable network. "Customers told us that they wanted more from their wireless – more choice, more features and more value," said Dow Draper, Sprint chief commercial officer. 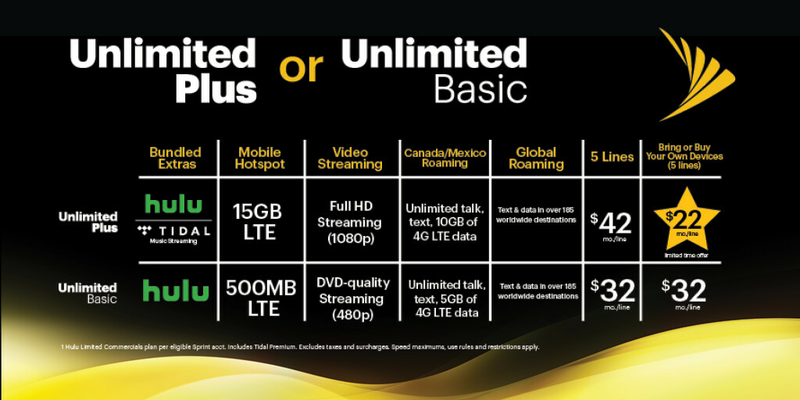 "Today we're introducing Unlimited Plus – a feature-rich option for those customers who want it all. We're also offering Unlimited Basic for people who may not need all the bells and whistles but still want a high-quality wireless experience. Combined with our new Unlimited Military and 55+ plan we're providing something for everyone, at the best price." 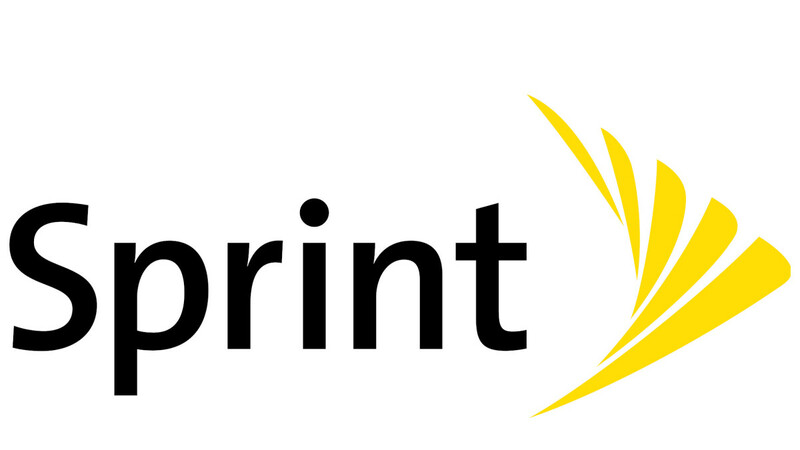 Sprint is making its largest network investment in years and its Next-Gen Network build is well underway. Customers across the country are experiencing better coverage, reliability and speed than before as Sprint upgrades cell sites to triband service using 800MHz, 1.9GHz and 2.5GHz, adds new cell sites, densifies or "fills in" the network with more small cells, and prepares to launch mobile 5G in first half of 2019. To celebrate the launch of these amazing plans, Sprint is offering an incredible limited-time promotion for Unlimited Plus. If you bring your own phone or buy a new phone outright, Unlimited Plus is available for $22 per month per line for five lines. That's 50 percent off Verizon and AT&T rates when you bring your phones or buy new ones outright.7 Customers will get the features they love at a price they'll love. If customers prefer to lease a device, they get Unlimited Plus at the regular low price of $42 per month per line for five lines. The first 10 people through the door who activate a new line (new or existing accounts) with Sprint on Basic or Plus will receive a $50 MasterCard®Prepaid card. Good only on July 13. "Add all of this up and there's literally never been a better time to switch to Sprint," said Draper. "We're offering unbeatable value on our award-winning network. So, hurry to a Sprint store, these promotions won't be around for long!" Wow we using the Verizon excuse. If any of these carries had any idea what the word “unlimited” means, they’d only ever need one plan. Whatever happened to having the simple unlimited plans? You know, where you have unlimited data to do what you want with no video resolution limits and no hotspot speed limits, just the highspeed data cap of like 22GB? Whatever happened? Teens that take gorging on data to be a sport, and brag about it. Lol. They just made their current Unlimited plan that was $60 cost $10 more, and made a lesser plan in the old plan place.